Howard Blank was born and raised in Cleveland, Ohio. He has been a San Diego resident since 1969. Howard has been performing professionally for over half a century. As an original member of the outsiders, he has had five top 40 hits including the mega hit “Time Won’t Let Me”, a million plus seller. Howard is also listed in the “Rock ‘N Roll Hall of Fame” in his home town, Cleveland. After a prestigious career he decided to share his gift and began to teach the next generation of up and coming drummers. He is one of our San Diego locations’ original teachers and has been with Bertrand’s for over a decade. 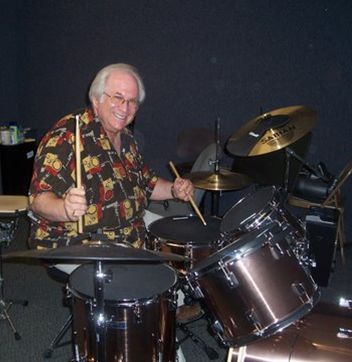 Howard is also the founder, leader, and drummer of San Diego’s, The Legends “Doo-Wop ‘N Roll Revue”.